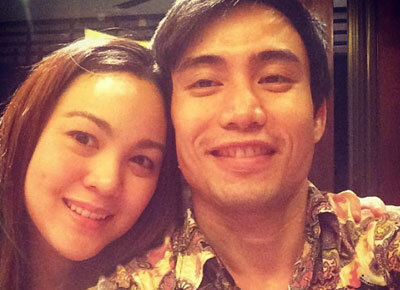 Is Claudine Barretto in love? The actress posts a ‘sweet’ picture of her and a guy on her Instagram account. Claudine Barretto set the online world abuzz after posting photos of herself with a guy in her Instagram account. In her IG post on May 4, Claudine posted a selfie shot with the guy, with the caption, “Mark and i. thanks for today. super thank u. i luv u!" Two days after, Claudine Barretto again posted a selfie with Mark. Both seem to be getting along very well. She emphasized though that they are just friends. "Yesterday's Bonding With Mark Anthony:) @ the Salon.MY FRIEND MARK ANTHONY," she posted. The Instagram posts earned various reactions from the netizens. "Ganyan dapat. Dapat masaya na at mag move on. God bless :)” @zelih posted. "Ok yan clau enjoy ka lng," @jaggerryo97 said. "Good for u [email protected]," miakulay posted. "Cute nyo 2...like like..," jacob23linatoc said.